Atal Bihari Vajpayee, a former veteran Indian politician, was the 10th Prime Minister of India. His Prime Ministerial tenure includes three non-consecutive terms – the first for 15 days (from 16 May 1996 to 1 June 1996), the second for a period of 13 months (from 19 March 1998 to 26 April 1999) and the third for five years (from 13 October 1999 till 22 May 2004). Over the course of his political career, he was elected nine times to the Lok Sabha or the Lower House of the Parliament and twice to the Rajya Sabha or the Upper House of the Parliament. He contested from four different states – Madhya Pradesh, Uttar Pradesh, Delhi, and Gujarat – in different elections. He was a member of the Bharatiya Jana Sangh party that was started by Shri Syama Prasad Mookerjee on 21 October 1951. The first election that Vajpayee won was from the Balrampur Lok Sabha (parliamentary) constituency of Uttar Pradesh in 1957. Vajpayee served as the President of the party from 1969 to 1972. Vajpayee also served as the Minister of External Affairs in 1977 when the Janata Party won the Lok Sabha elections and Morarji Desai became the Prime Minister of India. Atal Bihari Vajpayee was conferred upon India's highest civilian honour Bharat Ratna on 27 March 2015. 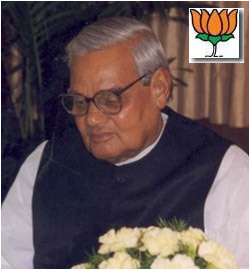 For his 'active participation' in the country's struggle for freedom, Atal Bihar Vajpayee was felicitated with Bangladesh's Liberation War Honour by the Government of Bangladesh on 7 June 2015. Prime Minister of India Narendra Modi received the award on his political mentor's (Atal Bihari Vajpayee) behalf from the Bangladesh President Abdul Hamid, when the former was on an official tour to the neighbouring country. He breathed his last on 16 August 2018, after a prolonged illness. Atal Bihari Vajpayee was born on 25 December 1924 in Gwalior, Madhya Pradesh to a middle-class Brahmin family of Shri Krishna Bihari Vajpayee and Smt. Krishna Devi. Pandit Shyam Lal Vajpayee, the grandfather of Atal Bihari Vajpayee, had migrated to Gwalior from their ancestral village Bateshwar in Uttar Pradesh. His father was a school master and a poet. Atal Bihar Vajpayee completed his schooling from Saraswati Shishu Mandir, Gorkhi in Gwalior. He completed his graduation in Hindi, Sanskrit, and English from Victoria College in Gwalior, now known as Laxmi Bai College. 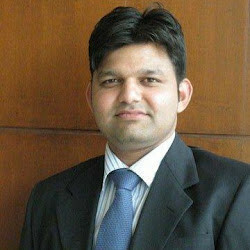 Thereafter, he studied in DAV College, Kanpur and completed his M.A. in Political Science with a first-class degree. He is fondly called ‘Baapji’ by his close relatives and friends. He remained single for his entire life and later adopted a daughter named Namita. He loves Indian music and dance. Atal Bihari Vajpayee is a nature lover, and Manali in Himachal Pradesh is one of his favourite retreats. He retired from politics due to health issues and was known to be suffering from dementia and diabetes. Close aides said that he failed to recognise people and mostly stayed at home, except for his check-ups that were conducted at the All India Institute of Medical Sciences (AIIMS). His first encounter with politics occurred in August 1942 at the time of the Quit India Movement. Vajpayee and his elder brother Prem faced arrest for 23 days. He joined the Bharatiya Jana Sangh when it was newly formed in 1951 and subsequently, he was motivated by the party leader Shri Syama Prasad Mookerjee. Vajpayee was with Shri Syama Prasad Mookerjee when the latter observed a fast unto death in 1951 in Kashmir against the supposed inferior treatment shown towards non-Kashmiri visitors. During this strike, Shri Syama Prasad Mookerjee died in prison. Vajpayee studied law for some time but did not complete the course as he was more inclined towards journalism. This selection might have been influenced by the fact that he had been an activist in India’s freedom struggle since his student life. He served as an editor to publications like Panchjanya, a Hindi weekly; Rashtradharma, a Hindi monthly; and dailies like Veer Arjun and Swadesh. In 1951, he was one of the founders and members of the Bharatiya Jana Sangh. In 1957, he was elected as a member of the 2nd Lok Sabha. From 1957 to 1977, he was the Leader of the Bharatiya Jana Sangh in the Parliament. In 1962, he became a member of the Rajya Sabha. From 1966 to 1967, he was the Chairman of the Committee on Government Assurances. In 1967, he was elected as a member of the 4th Lok Sabha for the second term. From 1967 to 1970, he remained the Chairman of the Committee on Public Accounts. From 1968 to 1973, he served as the President of the Bharatiya Jana Sangh. In 1971, he was elected as a member of the 5th Lok Sabha for the third term. In 1977, he was elected as a member of the 6th Lok Sabha for the fourth term. From 1977 to 1979, he was the Union Cabinet Minister of External Affairs. From 1977 to 1980, he was one of the founders and members of the Janata Party. In 1980, he was elected as a member of the 7th Lok Sabha for the fifth term. From 1980 to 1986, he was the President of the Bharatiya Janata Party. From 1980 to 1984, in 1986 and from 1993 to 1996, he was the Leader of the Bharatiya Janata Party in the Parliament. In 1986, he became the member of the Rajya Sabha. He was made the member of the General Purposes Committee. From 1988 to 1990, he remained the member of the Business Advisory Committee and the House Committee. From 1990 to 1991, he was the Chairman of the Committee on Petitions. In 1991, he was elected as a member of the 10th Lok Sabha for the sixth term. From 1991 to 1993, he was the Chairman of the Committee on Public Accounts. From 1993 to 1996, he was the Chairman of the External Affairs Committee. He was also the Leader of Opposition in the Lok Sabha. In 1996, he was elected as a member of the 11th Lok Sabha for the seventh term. From 16 May 1996 to 31 May 1996, he served his first term as the Prime Minister of India. From 1996 to 1997, he was the Leader of Opposition in the Lok Sabha. From 1997 to 1998, he was the Chairman of the External Affairs Committee. In 1998, he was elected as a member of the 12th Lok Sabha for the eighth term. From 1998 to 1999, he served as the Prime Minister of India for the second time. He was also the External Affairs Minister and in charge of ministries and departments that were not specifically allotted to any minister. In 1999, he was elected as a member of the 13th Lok Sabha for the ninth term. From 13 October 1999 to 13 May 2004, he served as the Prime Minister of India for the third time. He was also in charge of the ministries and departments that were not specifically allotted to any minister. Five underground nuclear tests were conducted in May 1998 in the deserts of Pokhran in Rajasthan. During late 1998 and early 1999, Atal Bihari Vajpayee initiated a diplomatic peace process with Pakistan. Aimed at resolving the decades-old Kashmir dispute and several other conflicts, the historic Delhi-Lahore bus service was inaugurated in February 1999. Infiltration of militants and non-uniformed soldiers of Pakistan in the Kashmir Valley and their subsequent capture of border hilltops and posts centering the town of Kargil was well-handled. Operation Vijay was launched by the Indian Army, which was successful in pushing back the Northern Light Infantry soldiers and Pakistani militants, recapturing around 70% of the territory. In December 1999, India faced a crisis when the Indian Airlines flight IC 814 was hijacked by five terrorists and flown to Afghanistan. They demanded the release of some terrorists in return, including Maulana Masood Azhar. The government under extreme pressure had to send Jaswant Singh, the then Minister of External Affairs, with the terrorists in Taliban-ruled Afghanistan to get a safe passage for the passengers. The government led by Vajpayee introduced several infrastructural and economic reforms, encouraged investments from private and foreign sectors and stimulated research and development. The then American President Bill Clinton visited India in March 2000, which was the first visit by a U.S. president to India in 22 years. In an attempt to break the ice once again, Vajpayee invited the then President of Pakistan Pervez Musharraf for a joint summit in Delhi and Agra, although the peace talks failed to attain the breakthrough. The Parliament faced a terrorist attack on 13 December 2001, which was successfully handled by the security forces who gunned down the terrorists. The terrorists were later found out to be nationals of Pakistan. His government passed the Prevention of Terrorism Act. Tithe country’s GDP grew at record levels, surpassing 6 to 7 percent, during his tenure as the PM. The international image of the country improved with the modernisation of industrial and public infrastructure; increased foreign investments; booming of IT industry; creation of new jobs; industrial expansion; and improved agricultural harvests. He received the Padma Vibhushan in 1992. In 1993, Kanpur University honoured him with D.Litt. He was bestowed with the Bharat Ratna Pandit Govind Ballabh Pant Award in 1994. He received the Best Parliamentarian Award in 1994. He was given the Lokmanya Tilak Award in 1994. He was honoured with India's highest civilian award - the Bharat Ratna - in 2015. He was conferred Bangladesh's Liberation War Honour on 7 June 2015 by the Government of Bangladesh. Last Updated on 17 August, 2018.